Aaron Lebedeff was born in Gomel, Belarus in 1873. As a young adult, he often appeared in Warsaw, where he began his career on stage. He was nicknamed “Litvak Komiker,” (the Lithuanian Yiddish comic) both for his stage manner, and for the humorous songs he composed and sang. In 1912 he began to perform at The Itzkhok Zandberg’s theater in Lódz. Around the same time, he married Vera Lubow and joined the Avrom Fishzohn troupe. During the Russian Revolution, he gave concerts for the American Red Cross troupes. Finally in 1920 he moved to New York, where he became one of the leading actors for Boris Thomashefsky’s National Theater. Lebedeff was a star of the National Theater for six consecutive seasons, at which point Thomashevsky and Lebedeff relocated to the Liberty Theater in Brooklyn. 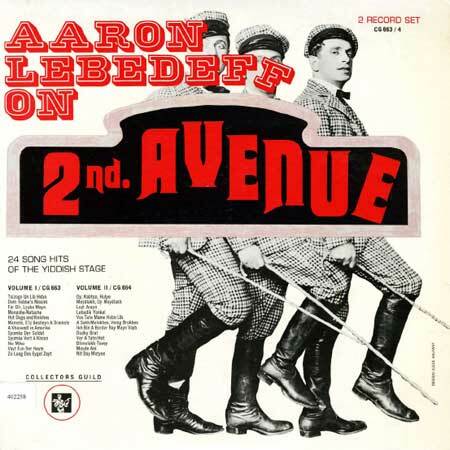 While performing at the Liberty Theater, Lebedeff continued to make appearances at the National Theater, under directors Natan Goldberg and Jacob Jacobs. Lebedeff also toured extensively throughout the United States, cementing his status as national acting star. Throughout the 1920’s and 1930’s, he appeared often in Boston, Philadephia, and Detroit. For the 1929-30 season Lebedeff was engaged by Chicago’s Lawndale Theatre. At the end of the season he made a guest appearance at New York’s National Theatre, where on April 9, 1930 he staged Kalmanovitsh’s Motke fun Slobodke. Lebedeff produced nearly eighty records in the 1920’s, mostly for Emerson, Brunswick, and Vocalion. The commercial popularity of Lebedeff’s records also helped to increase his reputation in Jewish communities throughout the United States. Lebedeff often chose to perform songs that appealed to his audiences’ nostalgia for Old World Europe. Perhaps the best example of this is Lebedeff’s hit “Die Grine Kusine,” composed by Abe Schwartz and Hyman Prizant, and published by J. and J. Kammen. The song tells the story of a naïve country girl who left for America, where she met a man who led to her downfall. 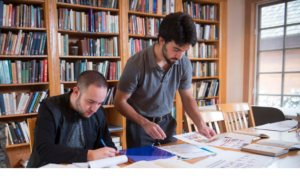 Lebedeff also had a penchant for composing and performing songs that featured and romanticized the provincial villages and towns of Lithuania, Poland, Russia proper, and Romania. 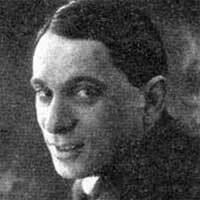 This fondness for Old World themes is immediately evident even in the titles of some Lebedeff’s most popular songs: “The Roumanian Litvak,” “A Khazendi in America” (1928), “Vayt Fun Der Heym” (Far from home) (1926), “Roumanische Karnatzlach” (Romanian sausage) (1927), and many more. 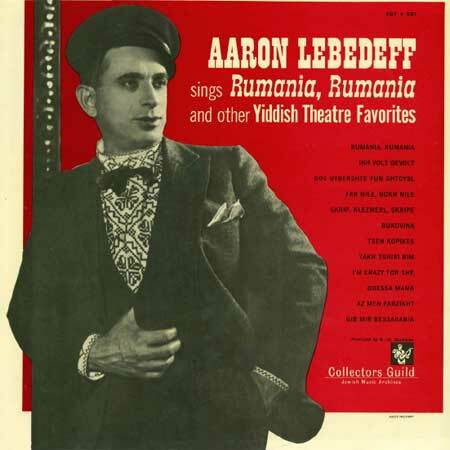 Lebedeff continued to be active in Yiddish theater well into the 1940’s. When he died on November 8, 1960, the Yiddish theatre lost one of its most formative and influential comedic stars.